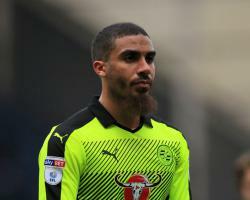 Grabban, who has scored 36 goals during two spells at the Vitality Stadium, has decided to drop down to the Championship to join a side relegated from the Premier League last season. The 29-year-old has also played for Norwich, Crystal Palace, Millwall, Brentford and Rotherham. After helping the Cherries achieve promotion to the Championship he moved to Norwich in 2014 before returning to Bournemouth 18 months ago.